KFC has launched a new ad in the UK, introducing KFChill, a platform where visitors can unwind by immersing themselves in the actual sounds of KFC. 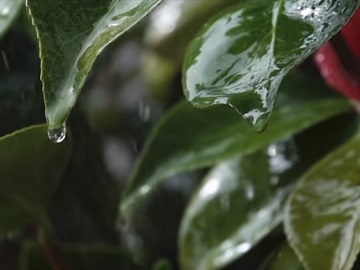 The 60-second spot opens with the voiceover introducing “a soothing sound to calm your mind this Mindfulness Day” while on screen rain drops are seen falling down green leaves. “As you relax into it, fill your sense. Yes, enjoy the gentle sound of deep… frying chicken,” the voiceover adds, and at this point it turns out the sound previously heard was actually the sound of deep frying chicken in a KFC kitchen. The ad goes on by highlighting how similar the rain and deep frying chicken sounds are and with the “promise” “there’s more where that came from”. Finally, the voiceover urges viewers to take another breath and chill out with the sounds of Kentucky Fried Chicken” before adding the KFChill’s tagline, “Finger Lickin’ Good Vibes”. The fast-food chain encourages people to fill their senses with “Finger Lickin’ Good Vibes” by listening a variety of “soothing sounds” recorded live in KFC’s kitchen. Thus, visitors can relax to the sound of frying chicken, unwind to the sound of sizzling bacon and de-stress to the sound of simmering gravy. The Finger Lickin’ Good Vibes can be also downloaded, so you can take them with you anywhere.